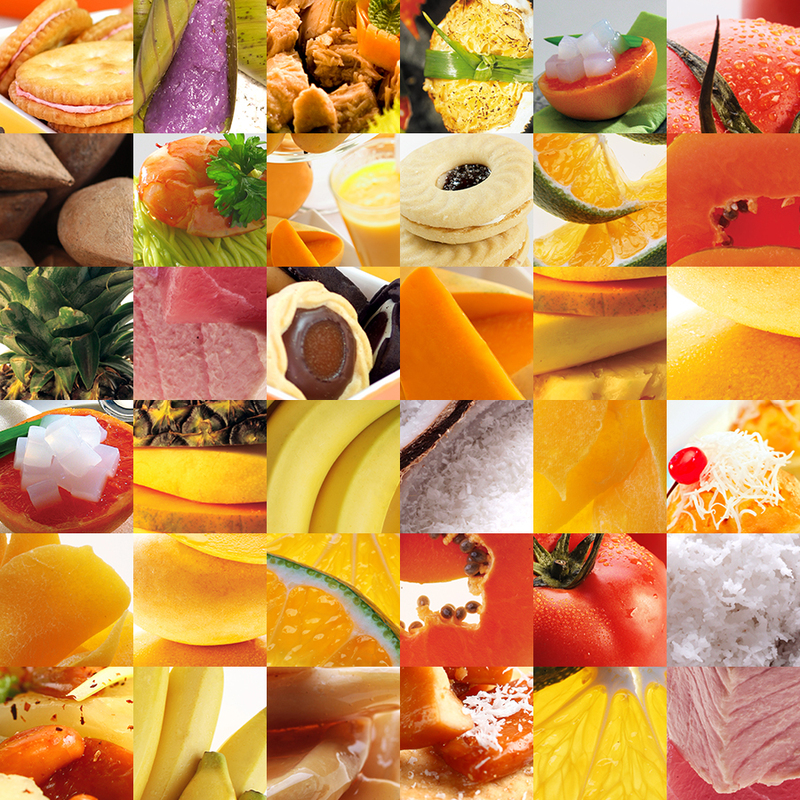 Seize the distinct flavor of the country’s tropical fruits and curated food products at FOODEX Japan, Asia’s largest food and beverage exhibition. 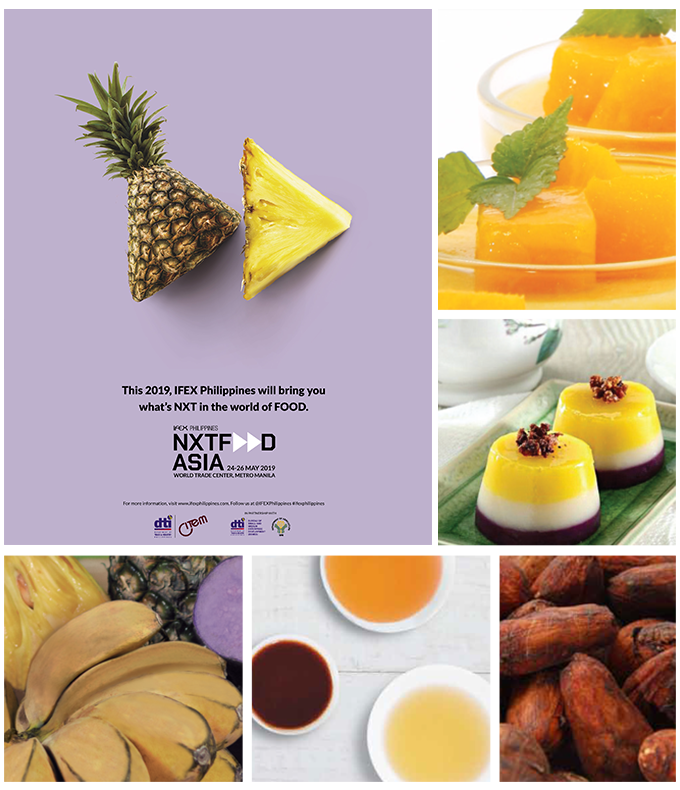 The Philippines’ participation in FOODEX 2019 aims to promote the country as a sourcing destination of the best ingredients and high-quality food exports. 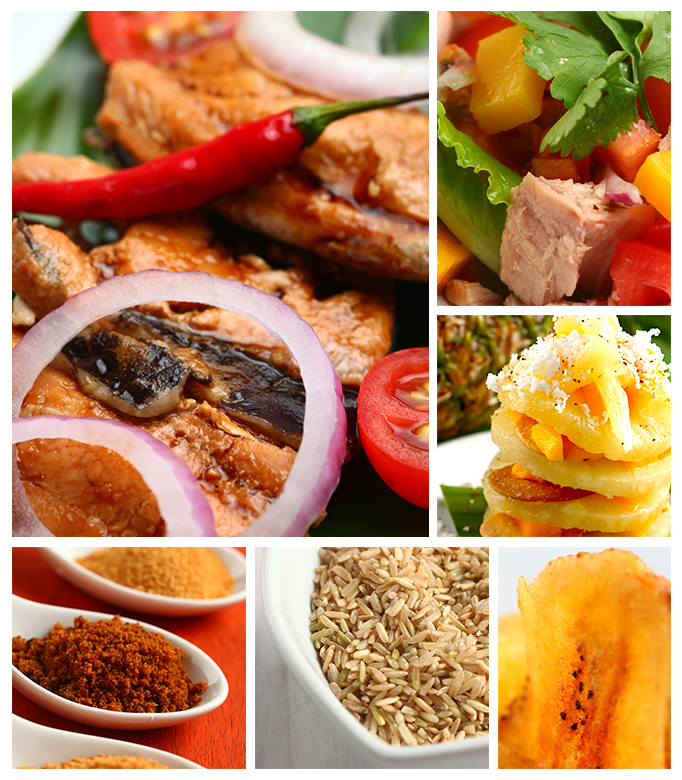 FoodPhilippines, the country’s collective food export brand, will bring together a group of selected food and beverage manufacturers showcasing quality and healthy products which include fresh/frozen fruits and vegetables, coconut virgin oil, biscuits, skipjack, banana chips, jellies and drinks. In this exciting showcase, FoodPhilippines underscores the rich heritage behind its tropical food selections while fortifying the Philippines’ growing bi-lateral trading relationship with Japan. 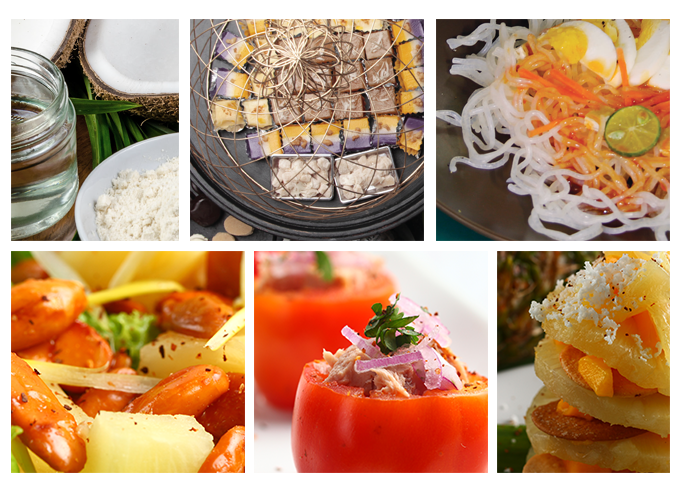 Discover the country’s tropical food, ingredients, and other food export products at the FoodPhilippines’ Pavilion in FOODEX Japan. AGRINURTURE, INC. AMLEY FOOD CORPORATION AVANTE AGRI-PRODUCTS PHILIPPINES, INC CELEBES COCONUT CORP. CENTURY PACIFIC FOOD, INC. CITRA MINA CANNING CORP. CJ UNIWORLD CORP COCONUT CURES, INC. / MINDANAO PACIFIC COCONUT COOP. GRAND ASIA INTEGRATED NATURAL COCO PRODUCTS CORP. GSL PREMIUM FOOD EXPORT CORP. LEONIE AGRI CORP. PHIL-UNION FROZEN FOODS, INC PRIME FRUITS INTERNATIONAL, INC. PROFOOD INTERNATIONAL CORP. SEABEST FOOD AND BEVERAGE CORP. SEE'S INTERNATIONAL FOOD MFG. CORP. 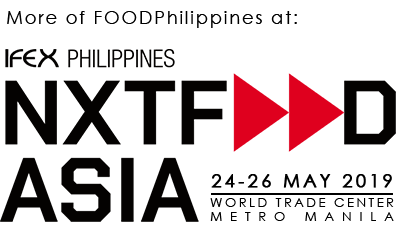 Known as the largest food and beverage exhibition in the Asian region, FOODEX is known as a major gateway to the Japanese market. Aside from Japan, FOODEX is also vastly participated in by buyers from major regions such as Europe, America, Africa, and Australia. In 2018, the four-day event welcomed over 3,000 local and international exhibitors, as well as more than 72,000 buyers from the food manufacturing, service, distribution, and trading sectors across the global food industry. Japan is the Philippines’ largest export destination for fresh foods and the second largest market for processed food, next to the United States. According to preliminary reports from the Philippine Statistics Authority (PSA), Japan is among the top export destinations of the country with 16.42% total share to total merchandise exports of the country for the period of January to November 2017. With the existing Japan-Philippines Economic Partnership Agreement (JPEPA), Japan provides an attractive and vast market for Philippine food suppliers to serve the retail, food service, and manufacturing industries. The Philippine Trade and Investment Center (PTIC)-Tokyo is the representative office of the Department of Trade and Industry (DTI) in the city. PTIC-Tokyo is part of the Philippine Foreign Trade Service Corps (FTSC) of the DTI’s Trade and Investments Promotions Group. Areas of Coverage are Tokyo, Akita, Aomori, Chiba, Fukushima, Gunma, Hokkaido, Ibaraki, Iwate, Kanagawa, Miyagi, Nagano, Niigata, Okinawa, Saitama, Shizuoka, Tochigi, Yamagata and Yamanashi. COCONUT CURES, INC. / MINDANAO PACIFIC COCONUT COOP. GRAND ASIA INTEGRATED NATURAL COCO PRODUCTS CORP.
GSL PREMIUM FOOD EXPORT CORP.
SEABEST FOOD AND BEVERAGE CORP.